You can test your pagespeed here . Just add your site url and hit the analyze button. NOTE: Remove unnecessary plugins and don’t use google ads (adsense) when testing (you can add them after that). we recommend that you use WP Super cache with default settings. 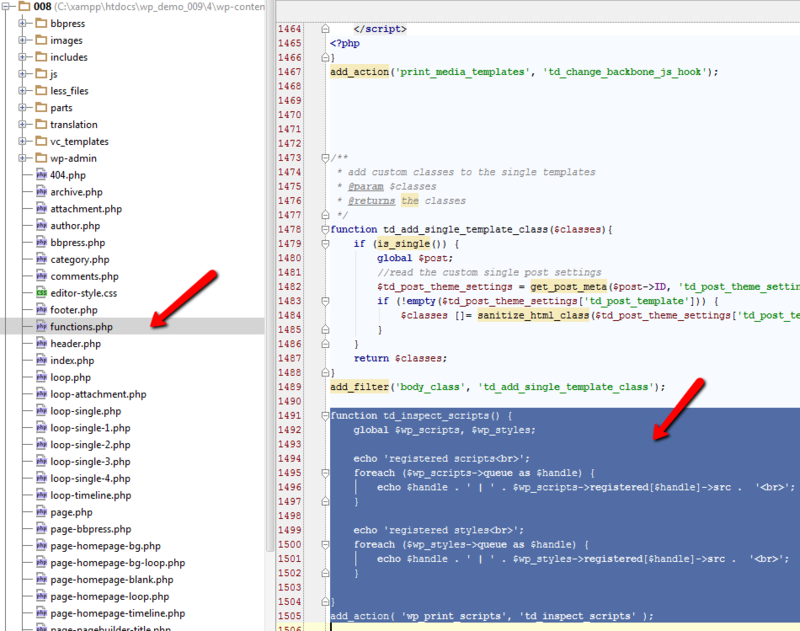 make sure that you have APC installed or another ‘op cache’ for php. This will reduce your server response time.We have receive some reports that the accelerator has some problems in some specific configurations with our theme and Nginx. If you are on a shared hosting or a low power VPS, please update to a more powerful server for better speeds. 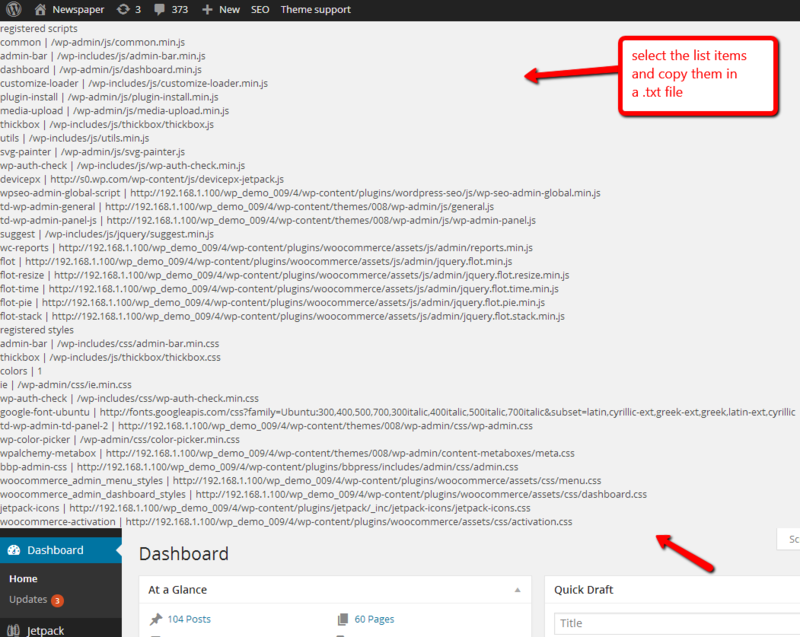 You could also check Wordpress official optimization guide here. Before you make any changes to your site please backup the files on which you intend to apply the modifications. In this case we’re going to modify the .htaccess file so i advise that you save a copy of the file on your hard-drive before you start modifying it, if something goes wrong you can use it to return to the previous state. This will compress the html and css and will improve the page loading speed and reduces the bandwidth usage. The setup is different from one server to another so you may have to look on your host instructions section to see how you can enable it on your site. By setting this you’ll tell your visitors browsers to remember (caching) some of your website resources that you don’t change so often (like the logo or the css/js libraries, posted images, etc.) and only refresh them after a defined period of time. To set it you have to add something like this on your .htaccess file. NOTE: the setup may differ based on what resources you want to include. ExpiresByType image/x-icon "access plus 604800 seconds"
ExpiresByType image/jpeg "access plus 604800 seconds"
ExpiresByType image/png "access plus 604800 seconds"
ExpiresByType image/gif "access plus 604800 seconds"
ExpiresByType application/x-shockwave-flash "access plus 604800 seconds"
ExpiresByType application/x-font-woff "access plus 604800 seconds"
ExpiresByType application/x-font-svg "access plus 604800 seconds"
ExpiresByType image/svg+xml "access plus 604800 seconds"
Images are one of the largest resource on your pages and the larger they are the longer it will take to download slowing the page loading speed. To reduce their size and increase the page loading speed image compression and optimization is required. There are plenty of guides our there on how you can optimize the images (using software like Photoshop or similar). The value 50 stands for 50%, if you want a better compression or better quality modify it and regenerate the thumbs. Experiment until you get the optimal value. Before the browser can render a page it has to build the DOM tree by parsing the HTML markup. During this process, whenever the parser encounters a script it has to stop and execute it before it can continue parsing the HTML. In the case of an external script the parser is also forced to wait for the resource to download. You can use the tagDiv Speed Booster plugin to move the css and js at the bottom of the page avoiding the page render blocking. 5.1 First install and activate the plugin. 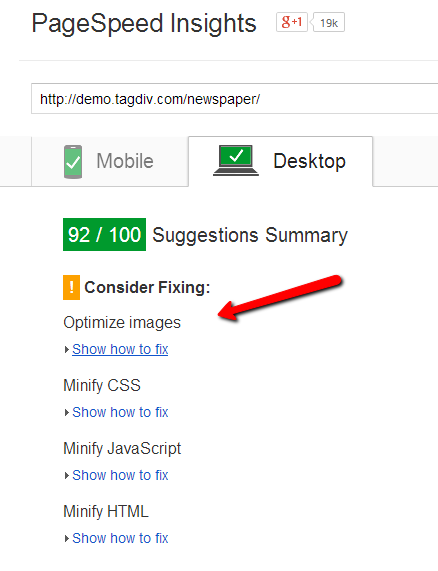 The plugin will move the js and css of the recommended plugins at the page bottom. If another (unknown) plugin is installed it will automatically disable itself, this behavior was added to avoid a potential plugin conflict. 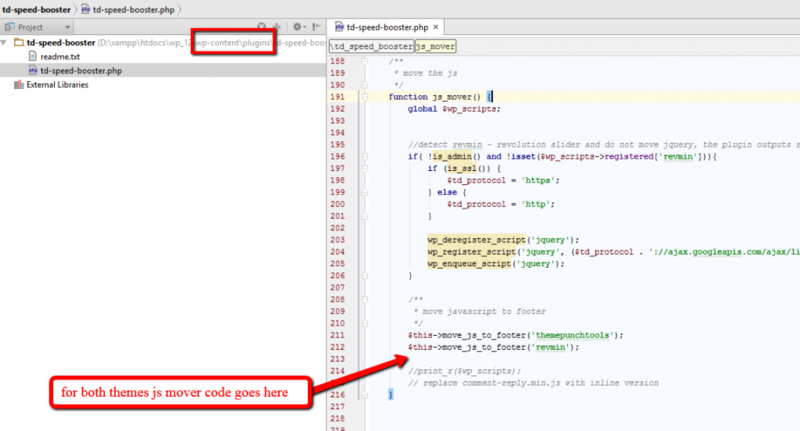 Delete the code you added at the end of the functions.php file. Test your page again HERE and identify the css and js that is blocking the page render process. 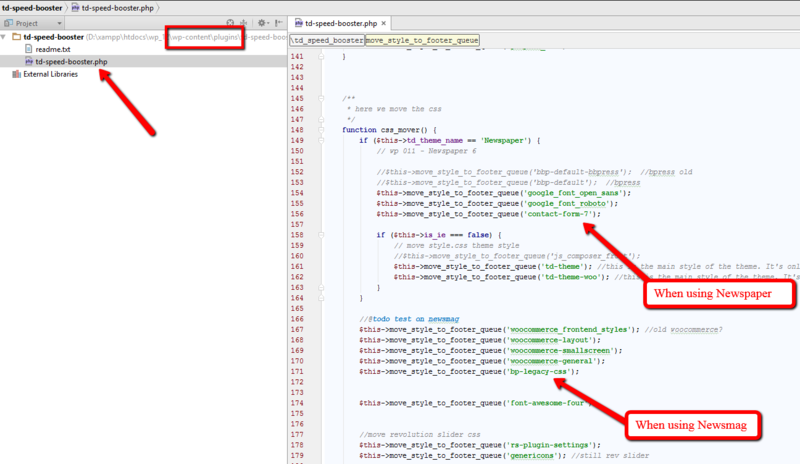 Look for the corresponding id for each line inside the .txt file you saved before. Important note: SpeedBooster will not work with all plugins. 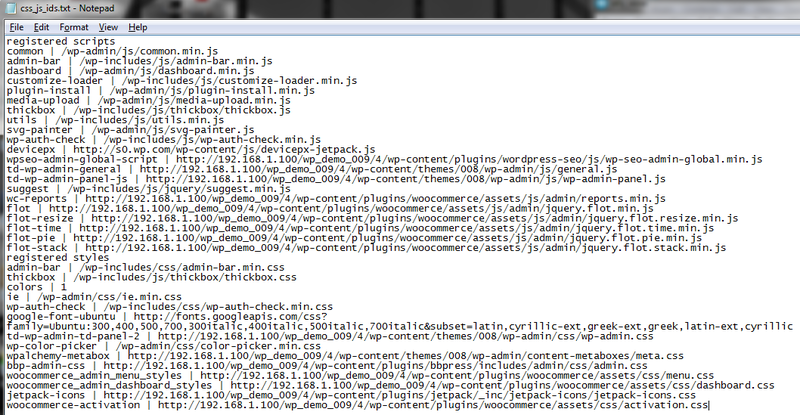 It has a compatibility function in it’s code and will deactivate itself if an incompatible plugin is detected. Seo Yoast, WP-User-Avatar, tagDiv Social Counter, WP-Super-Cache, WooCommerce, tagDiv mobile theme. Look for methods which allow you to control plugins, for Contact Form 7 check this one.